The news is in. 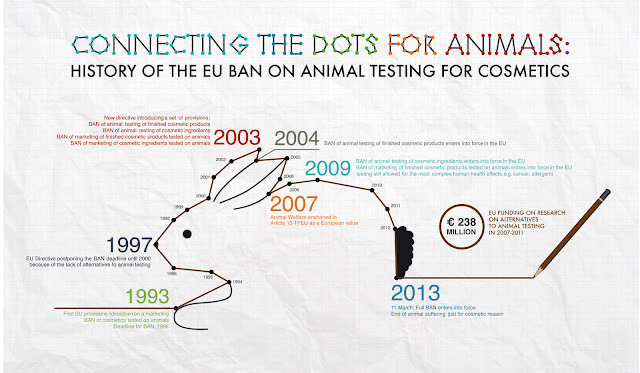 Cosmetic ingredients testing on animals is banned in Europe, for good and it can not come soon enough. From today, cosmetics sold in Europe can no longer contain ingredients that have been tested on animals. For many years, protesters have rallied to have the industry cease the testing of their materialistic products and ingredients on defenceless mice, guinea pigs and rabbits, so there was a large cheer from the Animal Rights protesters all over the world last week. Europe can now pose an example for the rest of the world, demonstrating how cosmetic testing of any kind on animals is unnecessary and no longer acceptable. Products that were produced before the ban will still remain on shelves until they are sold, so consumers will only start to notice differences a few months down the line. But yet, the change is a fantastic step and one that hopefully the global cosmetics industries will soon recognise. The European commission have imposed the ban due to an overwhelming response from Europeans who believed that animals should not be subjected to such suffering. 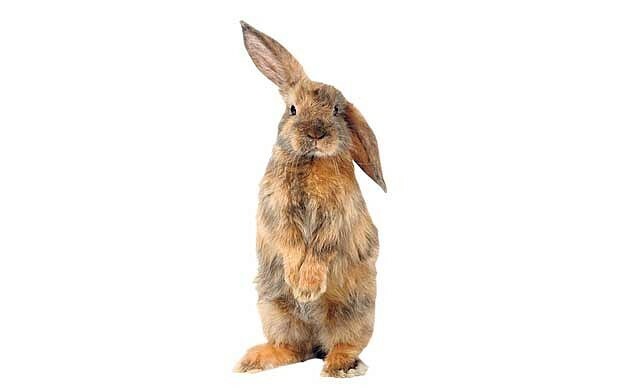 In 2004, a European law was set banning finished products to be tested on animals but for the past four years, cosmetic companies and organisations have been fighting against a full ban on cosmetic ingredients testing. Cosmetics Europe is a trade body that represents the EU’s cosmetic industry – worth around $93 billion. They have regarded the ban as halting innovation in cosmetics and other bodies have regarded the law as coming too soon due to no alternative testing processes being in place. Yet the Commission believed the law was necessary and the ban has finally been enforced after four years of research and funding. Cosmetics from outside of the EU can still be sold in Europe for the time being, only as long as they can provide evidence of the product’s safety without the use of animal testing results. In such a way, if they can provide such evidence, it actually renders their animal testing processes obsolete. Therefore in order to sell in the EU, perhaps Global cosmetics companies will make the change also. Cosmetics products can still contain pharmaceutical ingredients essential for medical treatments, but animals will no longer be made to suffer for cosmetic reasons. I am sure you will join with me in saying, “Wonderful, it’s about time”. How do you feel about the news? I’d love to hear what you think.